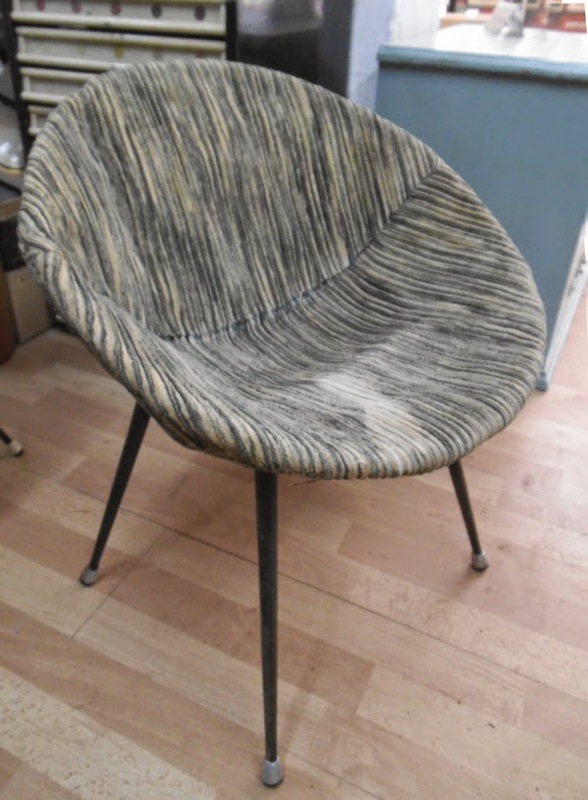 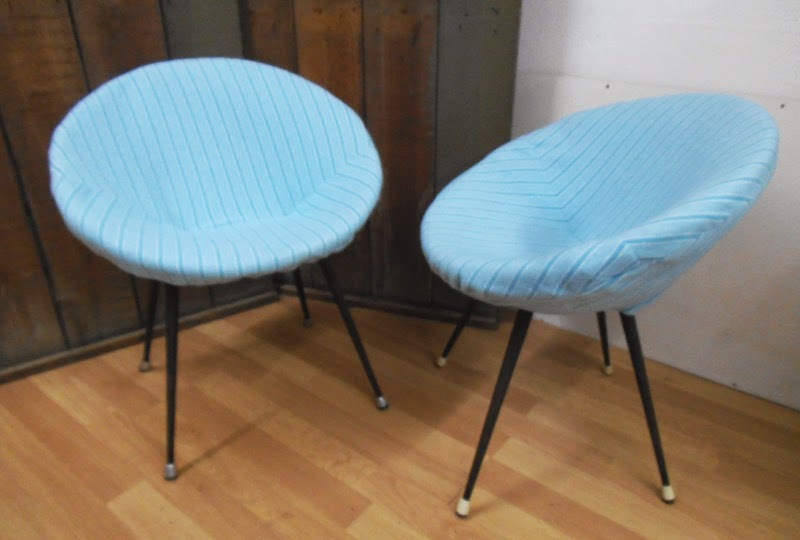 Two cute chairs, rather comfy, from the early 60s with iron structure: the seat is half a sphere and the legs are tapered. 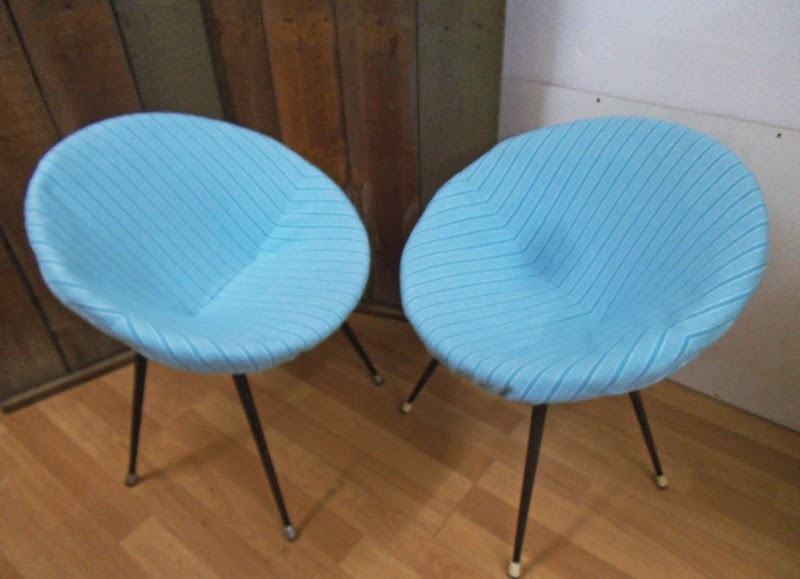 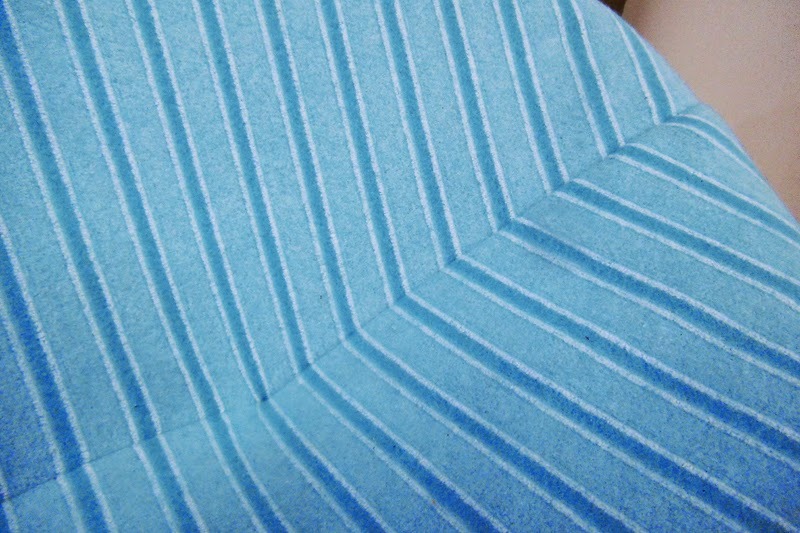 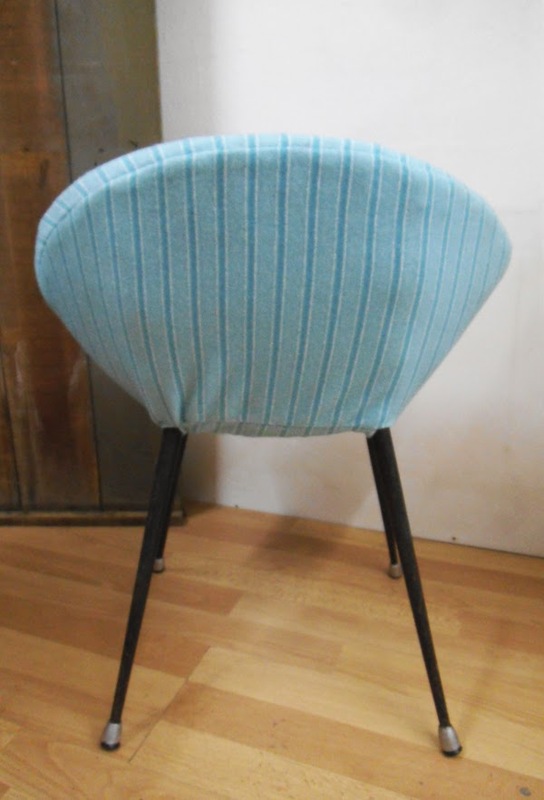 They have been reupholstered with a fresh striped cotton fabric in teal, light blue and white, and are ready to rock for another fifty years! 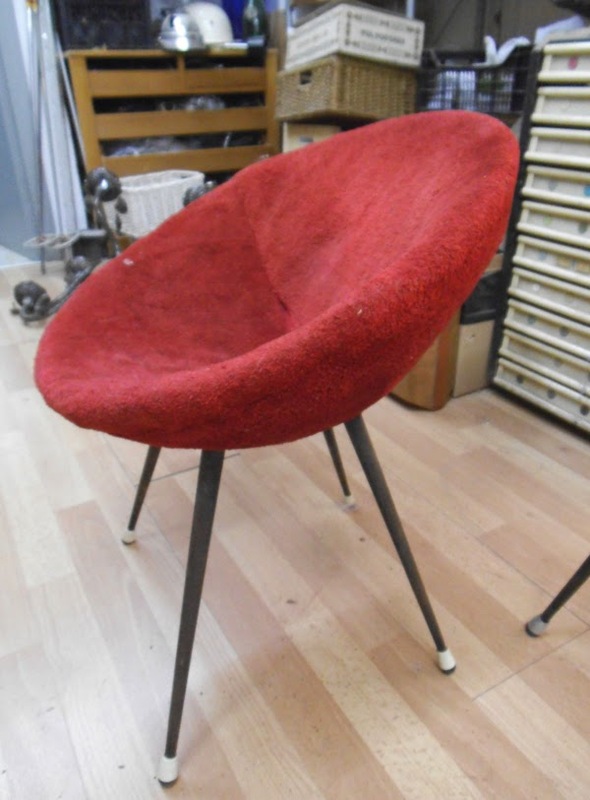 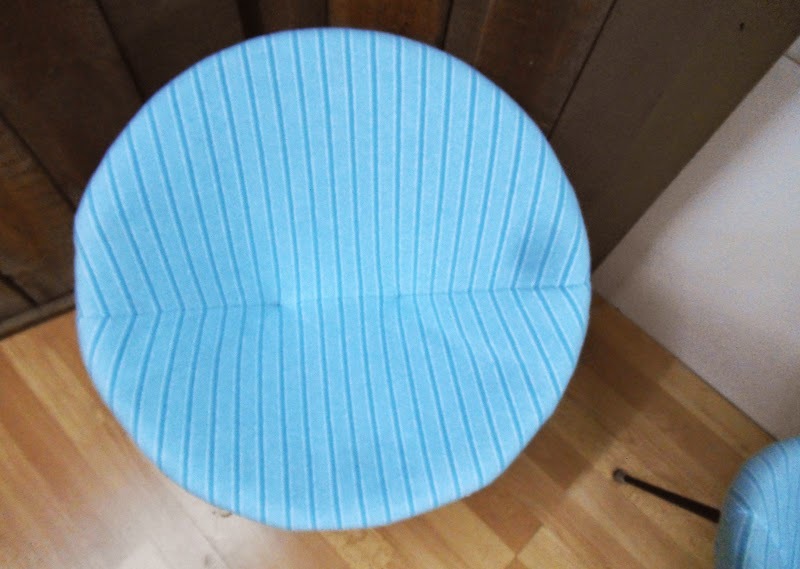 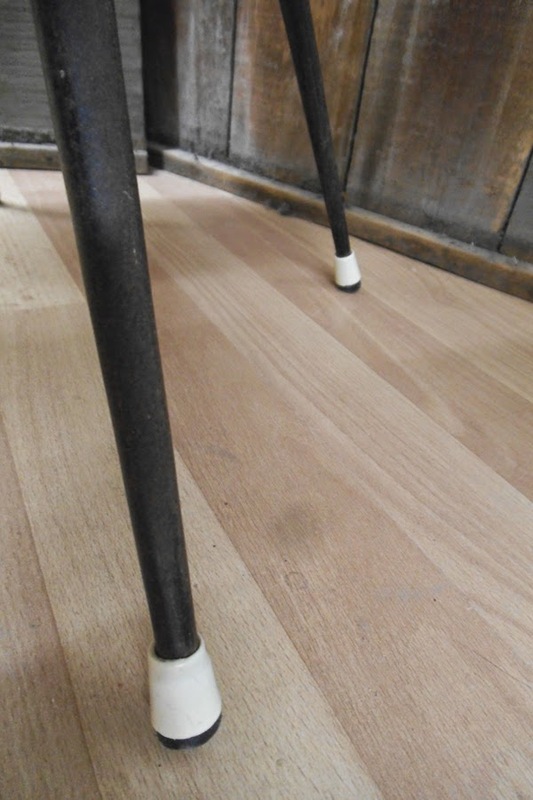 Measures: diameter of the seat 50cm, back rest height 60cm.